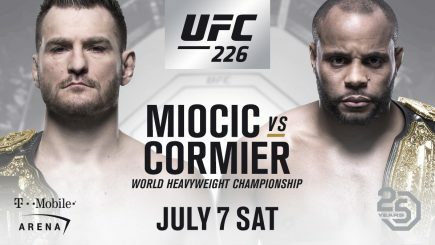 A big preview for the New Beginning Osaka card with Okada defending against Sanada, Impact and SmackDown ratings, reviews of Impact Wrestling and NXT, alleged incident involving Vince McMahon from 2006 resurfaces with new information, the new commentary on Impact, a preview of UFC 221, new main event of UFC 222, and more. 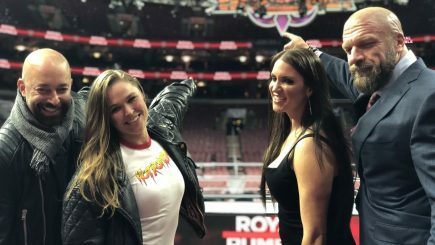 The WWE announced their year-end and fourth quarter results for 2017 on Thursday with a record amount of revenue for the year. 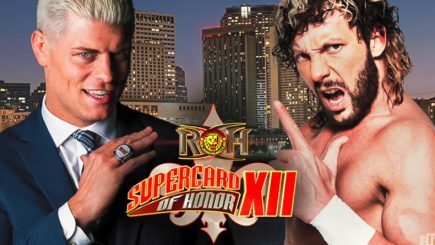 We also have notes on the earnings call, a surprising stat regarding the Mixed Match Challenge, the promotion to big executives, and more. 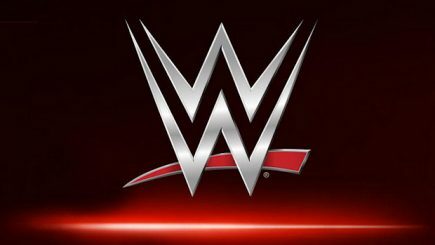 There has reportedly been a change within the WWE regarding the presentation of WWE with Paul Levesque replacing Vince McMahon and the direction of the program, a review of this week’s 205 Live episode, AXS TV confirms the live airing of Strong Style Evolved, Shelton Benjamin discovers a loaded gun in his rental car and more. 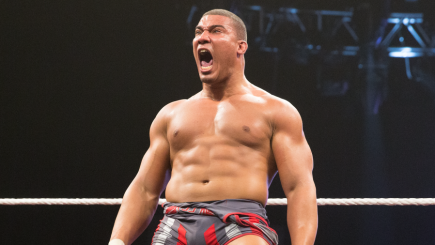 The WWE announced on Tuesday evening that Jason Jordan (Nathan Everhart) underwent a minimally invasive procedure to address an existing neck injury earlier in the morning. 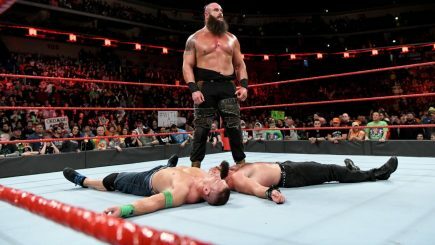 Monday’s episode of Raw from Des Moines, Iowa averaged approximately 3,080,000 viewers over the course of the three-hour program on the USA Network. 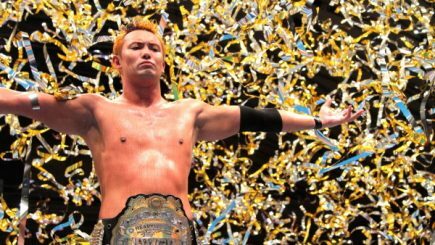 The Miz has reportedly signed a new contract with the WWE and we look at his career with the company, Big Show provides a health update, ROH set to break their attendance record, Mario Yamasaki and CABMMA issue statements over Saturday’s fight, EVIL and Sanada retain titles at Korakuen Hall, Elimination Chamber notes, and more. 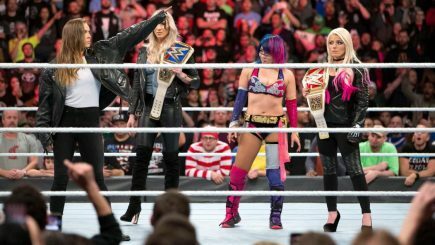 On Monday’s episode of Raw, the six participants for the first-ever women’s Elimination Chamber match were announced for the event that takes place later this month in Las Vegas. Rey Mysterio discusses his thoughts on a return to the WWE, Booker T. cites Corey Graves as the reason he’s off the Raw commentary team, review of this week’s Ring of Honor episode, Coliseum Video releases on the WWE Network, ROH and All Japan set to launch their own streaming services, review of UFC Fight Night card from Belem, and lots more. 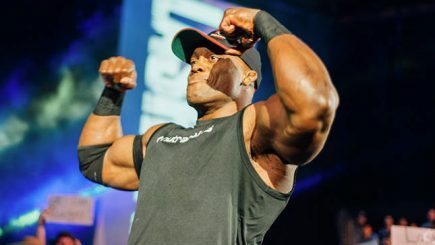 Impact Wrestling confirms that Jeremy Borash and Bobby Lashley have left the company, SmackDown Live audience, proper context for WWE’s YouTube numbers from this past weekend, AXS TV to air NJPW Long Beach card live in March, lightweight fight added to UFC 223, lowest UFC on FOX number, and more. 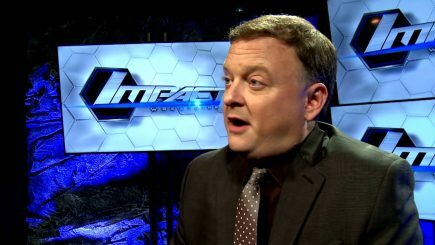 It was reported on Tuesday that Jeremy Borash is leaving Impact Wrestling for a position with the WWE, Elimination Chamber announcements, WWE introducing a ranking system, WWE’s YouTube stats from the Rumble, Michael Bisping says he is not fighting in London, Rewind-A-Raw available, and lots more. 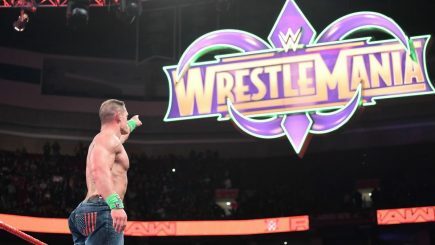 John Pollock goes through Sunday’s Royal Rumble event from Philadelphia, featuring two 30-person Royal Rumble matches, Brock Lesnar vs. Braun Strowman vs. Kane for the Universal, A.J. Styles vs. Kevin Owens & Sami Zayn for the WWE title, and much more. 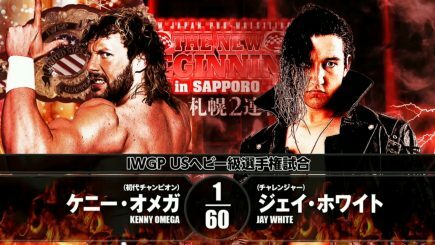 New Japan Pro Wrestling presented their second New Beginning card with Kenny Omega defending the IWGP U.S. title against Jay White, The Young Bucks defending the IWGP junior heavyweight tag titles against Roppongi 3K and a big angle closed out the show. 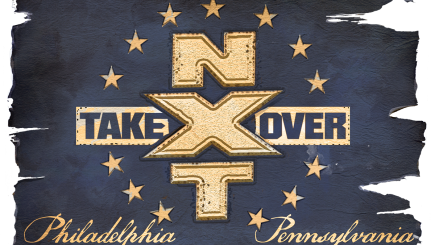 John Pollock reviews the NXT Takeover special from the Wells Fargo Center in Philadelphia with Andrade Cien Almas defending the NXT title against Johnny Gargano in the main event. 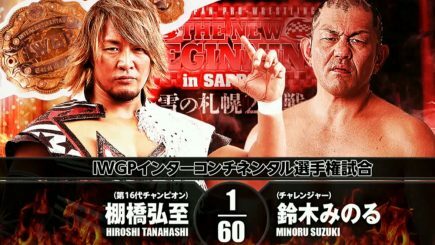 The first of three New Beginning cards from New Japan went down on Saturday from Sapporo with Hiroshi Tanahashi defending the Intercontinental title against Minoru Suzuki and the push of several key matches for the remainder of the tour.